Having trouble knowing what to eat pre and post workout? We all do. Sometimes what we WANT to munch on may not exactly be fueling our bodies, or replenishing them, the way we need. If you’ve ever felt super bloated during your workout OR depleted after a workout, it’s not just a fluke. It’s most likely in your food. “So you’re saying the chicken alfredo pasta I ate 30 minutes ago isn’t a good option?” Ehhh. But first, why does it matter!? Well, if you like to FEEL GOOD, eating right surrounding a workout is crucial. I want you to feel good and energized before, during, and after your workout (because feeling depleted is just no fun AND completely unnecessary). It turns us into bad people. So… why do I need to eat before a workout? This all goes back to feeling good. Not heavy, bloated, or empty. The goal with pre-workout eating is to get a steady release of energy during the workout. The right pairing of carbs and protein will do this for you. Just think if your digestive system had to break down the chicken alfredo pasta during your workout. That takes up a lot of energy you could be using for better things! If we learn to make smarter, lighter choices it can go a long way! Note: if you’re an early bird, you may be able to exercise in a fasted state. Be aware, not everyone’s body is acclimated to this and it may take time to get past feeling light-headed. Carbohydrates that break down quickly like fruit, whole wheat bread, and oats. They are still from natural sources (note: no sugary candy bars) but are usually softer so they can be easily broken down without requiring too much extra energy. Protein like yogurt and nut butter are great pairings with your carbs because they allow a slow release of carbs into the muscles, rather than all at once. Don’t overdo it on the nut butter though, as eating too much fat can be uncomfortable during your workout (see below). Vegetables in small amounts may be OK but a veggie heavy snack or meal contains a ton of fiber. This is great any other time, but pre-workout not so much. Your stomach will expend too much extra energy on digestion. Fat in high amounts can really slow you down. This is another case of very slow digestion and too much energy to break down the food. Try keeping nut butters to 1 tbsp pre-workout. Protein Bars can be loaded with so many extra ingredients that can make you feel sluggish. Find a natural protein bar (or make your own) with high quality ingredients and save it for post-workout recovery. As we now know, a combo of protein and carbs does the trick here. The key with pre-workout snacking is to get your food from natural and wholesome sources. Just because carbs and protein are your best friend doesn’t necessarily mean go munch down a heavy power bar. So… why do I need to eat after a workout? Because, recovery. And so many other reasons. If you just went to town in spin class, picked up some heavy weights, or did some interval training, chances are that your muscle glycogen (aka carbs stored in the muscles) are now completely depleted. We need to replenish these carbs and nutrients or you could feel pretty crappy in a few hours. And we don’t want that… right? During an intense workout, you physically break down the fibers that make up your muscle, causing little micro-tears. We MUST restore them so they can grow back stronger. The two main ways to do that: rest and food. Just because you should eat after a workout doesn’t mean you will throw away ALL your hard work. The good news is that if you pick the RIGHT sources that your body NEEDS, it will get used right up because you’re still burning at a higher rate post workout! If you're thinking "I just don't want to ruin that calorie burn," let go of that thought. Your body NEEDS nutrient dense foods and will thank you dearly for them. Heavy meals. Save this for 1-2 hours later. Recovery drinks. Unless you are an endurance runner or athlete, you do not need a ton of sugar and electrolytes post-workout. Skip the powerade and fuel up on whole food nutrients and H2O! Most natural and healthy foods are good post-workout options. The keys are combining the right nutrients, keeping it light (150-300 calories), and finding something that works for you and your schedule. 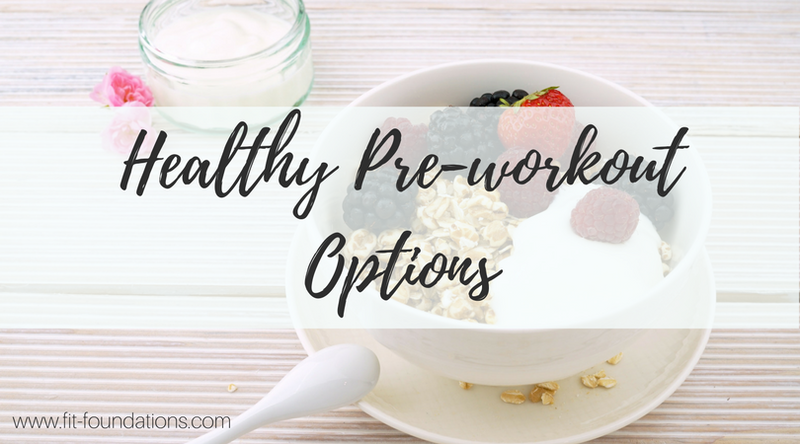 Find a pre and post-workout snack that works well for you and your schedule. Consider if you typically go to the gym after work, or if you go straight to work from the gym. This may dictate your food choices. Getting the right nutrients before and afterward to FUEL your body and mind are vital. As stated above, I want you to FEEL GOOD and have an enjoyable experience (before, during, and after). Ditch the sluggish, tired feeling and fuel your body with the nutrients it needs. Is eating pre and post workout realistic all the time? No way. Don't let that discourage you from doing your best most days of the week! You will not waste away if you miss a snack before or after your workout, I promise.